The Sunshine Coast is still growing rapidly, and many new residents and some locals too are becoming pool owners. Keeping a pool clean and safe for swimming is often a difficult task for the novice, so contacting us to book a service visit or quote is the absolutely the best solution. No need to waste any more time……simply contact our trusted local Sunshine Coast pool service. 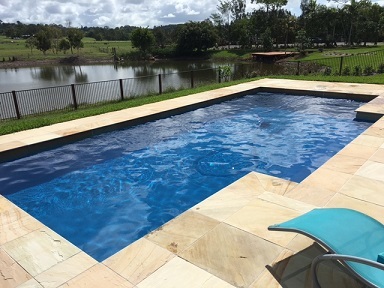 At Pool Clear Sunshine Coast we service Sunshine Coast pools in most suburbs and always do that bit extra for our service customers. We regularly perform pool equipment & plumbing installs on new pools providing all the right equipment for each particular pool and customers alike. 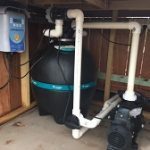 Making sure you have all the right pool equipment that is correctly installed is most important for keeping a pool healthy and minimizing running costs for any new or old pool. Regularly cleaning and balancing your pool together with servicing the pool equipment will deliver lowest possible pool chemicals and energy costs. Whilst there are many experienced pool builders on the coast, unfortunately most of these don’t perform pool servicing, pool start ups or follow up service. 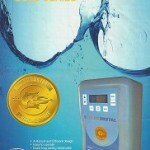 The operating equipment installed can often be poor quality and not sized correctly for the pool. In such cases, pool surfaces and water quality will almost certainly suffer, along with maintenance and electricity costs. 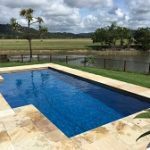 Our extensive experience in pool equipment sales, install, pool cleaning and servicing Sunshine Coast pools allows us to make the right choices for your pool. To prevent any staining or damage to pool surfaces, plumbing and operating equipment it is essential to balance pool water as soon as possible on new pools. It is particularly crucial on new pool surfaces the right procedures are performed to prevent stains and deposits whilst surfaces are curing. A new pool (or newly renovated) is a big investment and an asset of such value definitely needs an insurance policy…..exactly what our Sunshine Coast pool service provides. We already have very happy customers all over the Sunshine Coast, from the central coastline suburbs like Mooloolaba, Minyama, Birtinya, Buddina, Bokarina & Parrearra, down to Currimundi, Little Mountain & Pelican Waters. Out to Tanawha, Glenview, Palmview, Palmwoods, Nambour & Yandina, then back across through Bli Bli, Rosemount and up the coast as far as Coolum & Marcus Beach. We take pride in the satisfaction we deliver to each of our clients in caring for their pools. Our friendly pool services include pool balancing, cleaning and servicing of the entire pool and its equipment with a flexibility little others can provide. We inform you of service times & dates in advance, attending how ever often you desire. Detailed test results & invoicing for all pool services and we are happy to provide advice and on site training for pool owners who just need a little help with their own pool maintenance. Pool Clear supports local manufacturers, suppliers and repairers of pool equipment and products, ensuring for quick turnaround times at low prices. With access to all quality brands of pool equipment we will make certain your pool is always sparkling and safe.